Did Reinhold Hoffmann Find U.S. Stamp Worth $3 Million In German Flea Market? Reinhold Hoffmann, a retiree who told the German newspaper Bild that he found a U.S. stamp worth $3 million, may now have a reason to go postal: The Philatelic Foundation said the stamp is worth less than $100. "We told him that it is not the Z Grill," the foundation's David Petruzelli told The Huffington Post on Friday. "We got a good scan of it that he sent. It's not the stamp." Hoffmann, 70, captured attention recently in European media when his partner bought a $25 book of old stamps at a Dresden, Germany, flea market, and one of them of them looked like the rare one-cent Z Grill. "When I laid them out on the table and saw the one cent stamp I stopped breathing," Hoffmann said in a Daily Mail translation. The Z Grill stamp featured Benjamin Franklin and began circulating in 1867, Petruzelli said. Only two have been confirmed to exist today, and both have a catalog value of $3 million, he added. The "grill" designation is for the stamp's raised tiny squares, which in theory were supposed to keep people from cleaning the stamps and reusing them. The grills were scrapped just a few years later. But the foundation said it wrote him a letter pleading with him not to bother. The stamp wasn't worth a lick, at least compared to $3 million. "I just explained the best I could that this was not the stamp," Petruzelli said. "We didn't want him to go to the trouble." Petruzelli said he's had several cases where people flew in on their own expense, only to be disappointed. "It's just sad," he said. "We try to discourage it. We're not making money by discouraging people." The stamp expert said Hoffmann's find is probably an F Grill, the most common of the grill stamps and one whose impression is far inferior to the Z. Given its condition, he estimated, the stamp is worth a small percentage of its $475 catalog price. 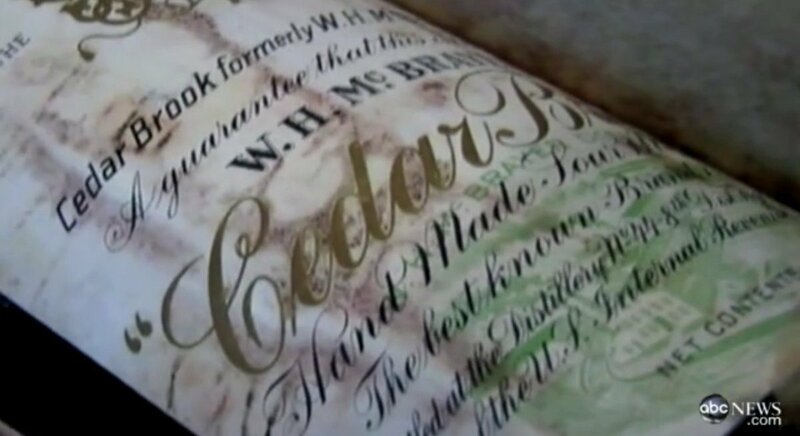 Bryan Fite, a Missouri resident, uncovered a hidden stash of <a href="https://www.huffpost.com/entry/bryan-fite-whiskey-bottles-attic_n_1653864" target="_hplink">century-old whiskey</a> bottles underneath the floorboards in his attic. Rare bottles of whiskey have <a href="http://online.wsj.com/article/SB10001424052970204452104577059792477936510.html" target="_hplink">sold</a> for as much as $200,000.